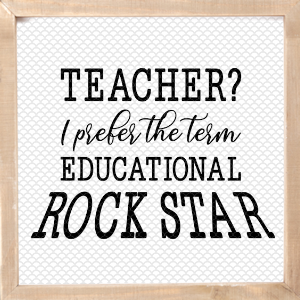 This Educational Rock Star SVG is perfect to create Teacher Appreciation gifts. DIY t-shirts, mugs and tote bags galore! Download includes all the files you’ll need to start creating with your Cricut or Silhouette cutting machines. You even get the PDF version if you wish to just print and frame this design. See below for more important details. 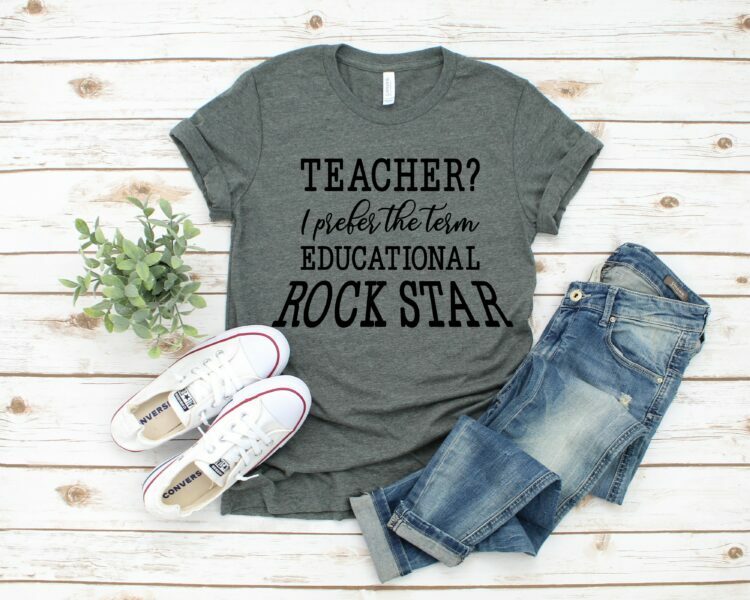 NOTE: If you wish to use these designs for commercial you may purchase the entire Teacher Appreciation SVG Bundle for $3 in our shop.